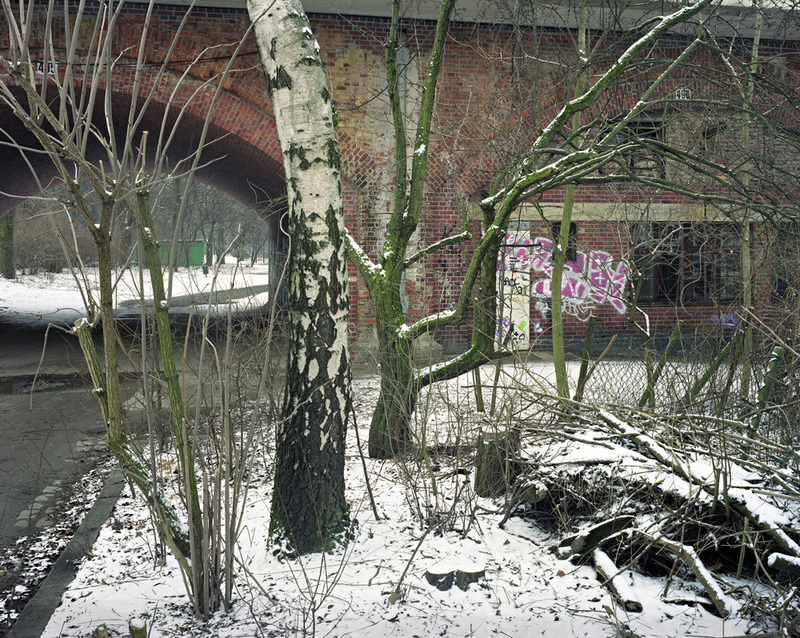 Gerry Badger's series "Berlin" was made during two visits to the city in 2007 and 2008. 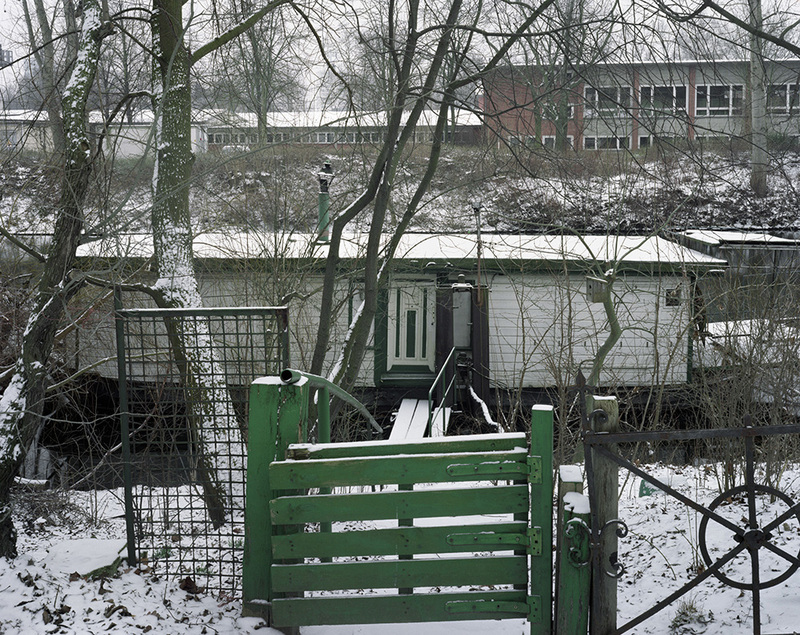 A prolific writer, artist, and architect, Badger had been to Berlin previously, once before the Berlin Wall came down and once in the company of artist John Gossage, an American photographer who had documented the city extensively over many years. Yet it was during his more recent trips that Badger realized the city offered great potential for his usual subject matter: "landscapes and accretions of history. 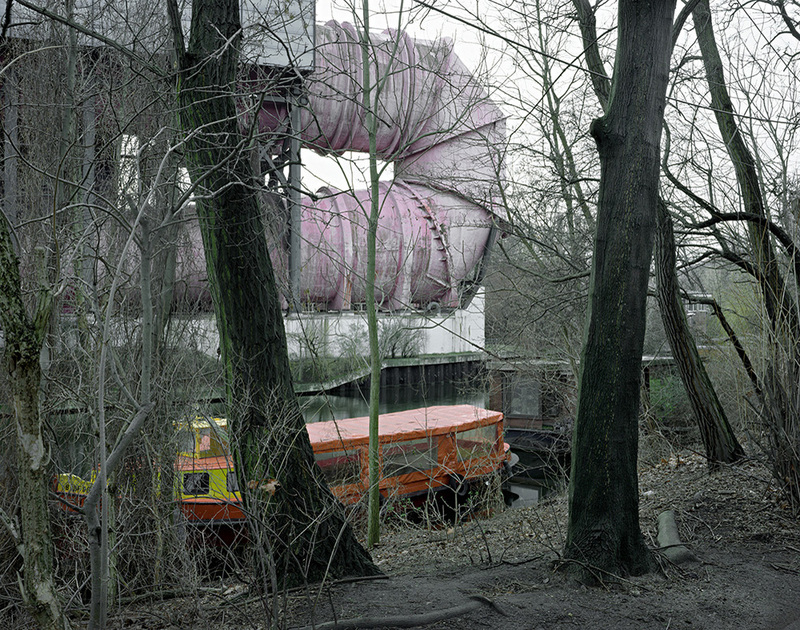 "When I first visited Berlin, in 1985, it was a city stuck in a time machine. The legacy of the final days of the Second World War was very much evident in scarred buildings and open spaces that had not yet been redeveloped. The division of the city somehow ensured that the scars never healed. 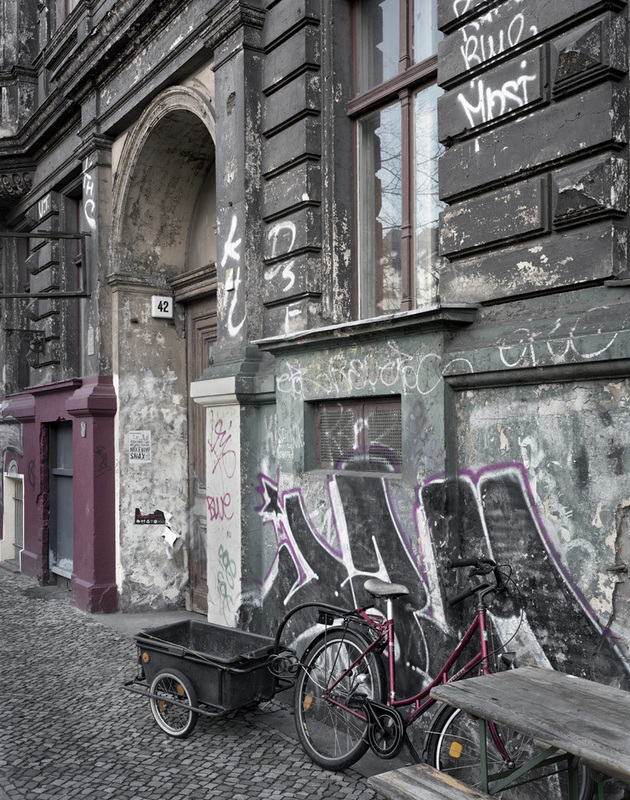 Going back, I found it to be a vibrant, interesting city, with few traces even of the Wall, but if you looked hard enough, the history was still there, more hidden but still there." Badger will present a gallery talk about "Berlin" during Blue Sky's Birthday Open House at 2:35 PM on Saturday, October 9, and then join Lisa Radon, Arts Writer, for a public conversation and Q & A about his recent book, The Pleasures of Good Photographs, on Wednesday, October 13, 6:00 PM, at the Miller Room of the Portland Art Museum. 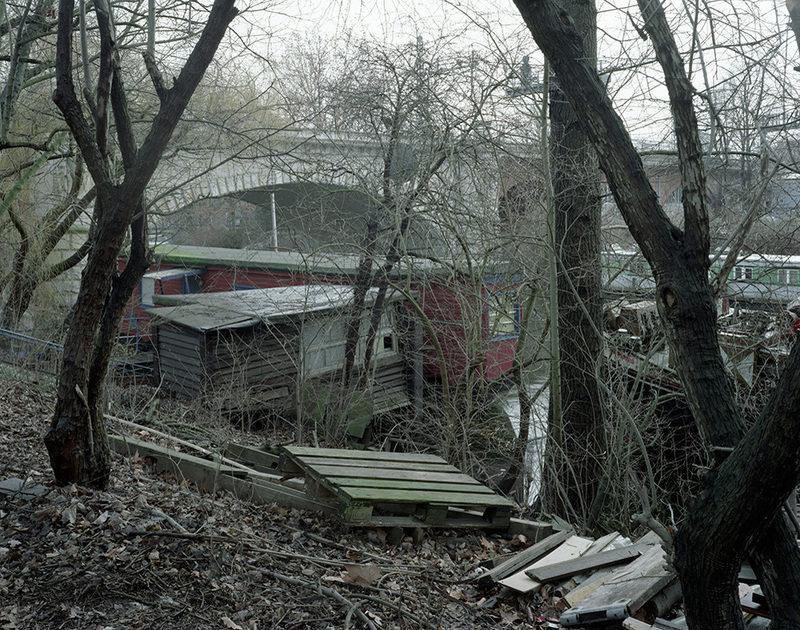 Gerry Badger is an architect, photographer, curator and writer. His work is in a number of public and private collections, including the Victoria and Albert Museum, London; the Arts Council of Great Britain Collection, London; the Bibiliothèque Nationale, Paris; and the Museum of Modern Art, New York. Recent exhibitions in which his work has been shown include The Art of the Garden, at Tate Britain (2004), and Unpopular Culture: Grayson Perry Selects from the Arts Council Collection, at the De La Ware Pavilion, Bexhill-on-Sea (2008 and traveling). Exhibitions which he has curated include The Photographer as Printmaker (Arts Council of Great Britain, 1980) and Through the Looking Glass: Photographic Art in Britain 1945-1989 (Barbican Arts Centre, 1989) (with John Benton-Harris). Recent books include the introductions to a number of photographer's monographs, including Stephen Shore, John Gossage, Martin Parr, Jem Southam, Peter Fraser, Anthony Hernandez, Markéta Luskačová, Olaf Otto Becker, Sune Jonssen, Keld Helmer-Petersen, Chris Killip, Edgar Martins and Gunnar Smoliansky, and The Genius of Photography (2007). With Martin Parr, he wrote a two volume history of the photographic book, The Photobook: A History (2004 and 2006), which won the Deutsche Fotobuch Preis in 2006 and the Kraszna Krausz Prize for books on lens-based media in 2007. A book of his essays on photography, The Pleasures of Good Photographs, has just been published by Aperture, and the third volume of the Photobook history has just been commissioned.